Bernie Sanders admitted that he's never worn a tux, which means he must have never gone to prom. So let's right a wrong, America. 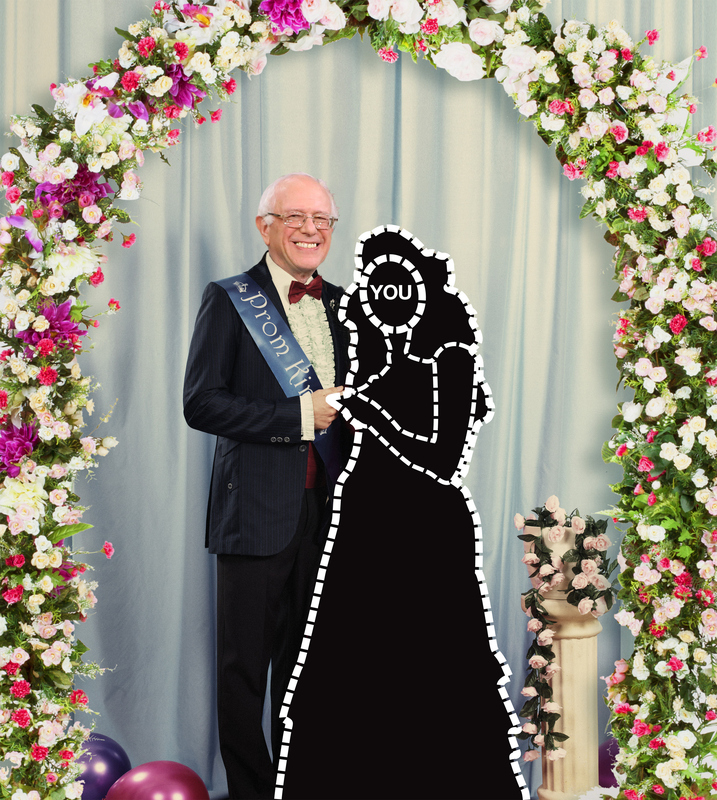 Download the image below, photoshop yourself into it wearing your prom finest and tweet your best promposal with the hashtag #BerniePromposal. By downloading this image, you agree to solely use the image in connection with the Twitter hashtag created by The Late Show with Stephen Colbert, #BERNIEPROMPOSAL. You agree not to use the image for any other purpose. You warrant that your photo shopped image will not violate the copyrights, rights of privacy or publicity, or other rights of any other person or entity, and is not defamatory, scandalous or obscene. CBS Interactive Inc. and The Late Show Inc. reserve all rights to remove any image uploaded to #BERNIEPROMPOSAL.